Soon hiring for the 2019 season! 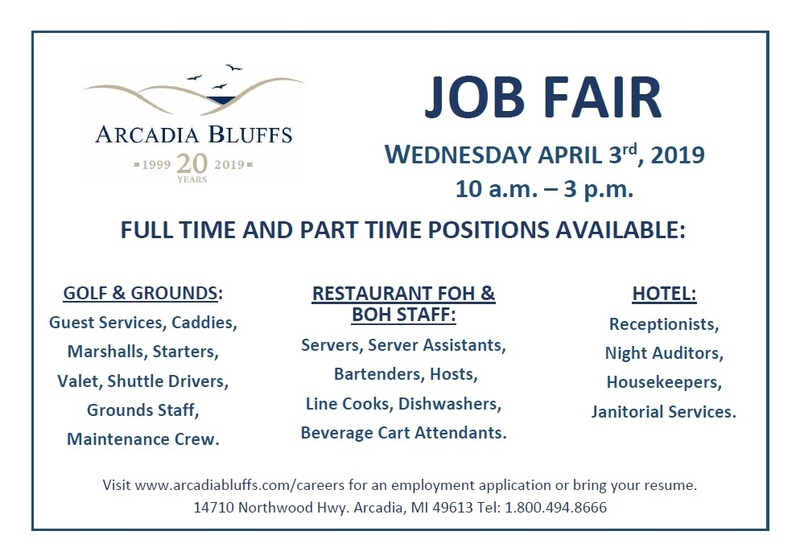 To apply for a position with Arcadia Bluffs, please fill out the application linked below. You may apply in person or e-mail your resume to the appropriate department contact.